This method works best for decals that are wide but not tall. 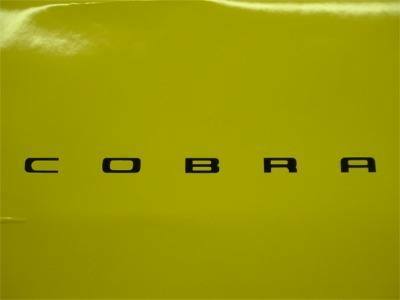 Be sure to review the basic instructions found on the Decal Installation Main Page first before starting. 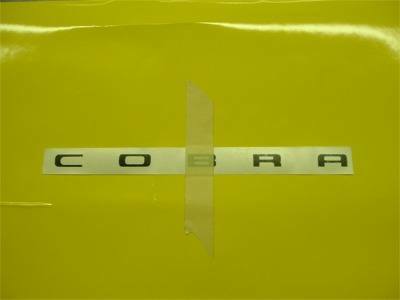 Next, place a piece of masking tape down the approximate center of the decal as shown. 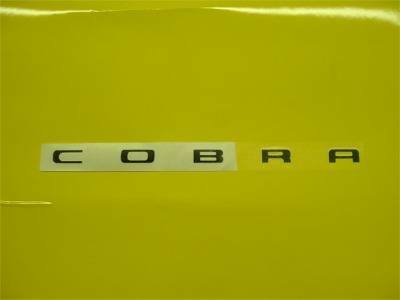 Tip - For large decals you may wish to put a couple of small pieces of tape on each end before placing the large section in the center. This will ensure that the ends are where you want them. Slowly peel back the application tape as shown to the tape. 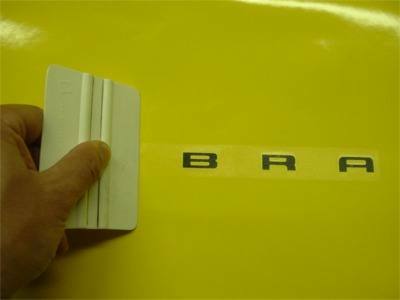 Be sure that the decal sticks to the application tape and not the paper backing. If this problem does occur then you my push the tape back down and apply pressure to it. 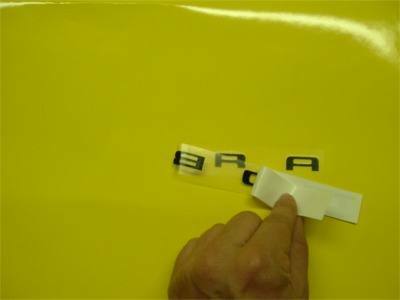 This will allow the tape to adhere better to the decal. Cut off the excess paper backing that is showing and discard. Slowly apply pressure to the tape working from the center out to the end. For small decals a finger works just fine. For large decals a squeegee or a credit card works well. 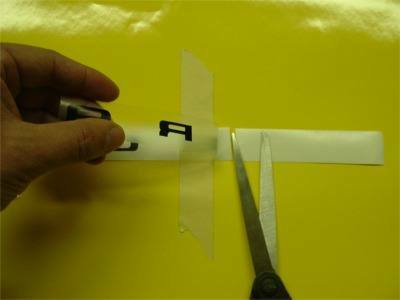 Tip - When installing lettering as shown, try to make the cut of the paper backing between the lettering. While not required, it helps for a slightly better looking install. 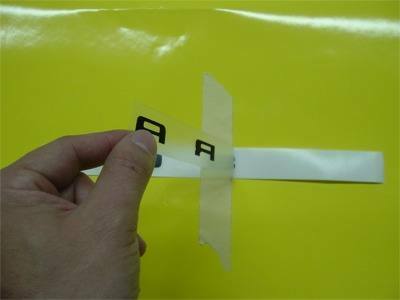 Remove the center section of masking tape. Flip the left side of the decal up as shown. Remove the paper backing being careful again to make sure the decal is sticking to the tape, not the paper backing. Slowly apply pressure to the tape; this time you will be working right to left. Finally, remove the application tape starting in the upper left hand corner working your way to the right. Pull the tape PARALLEL to the surface. 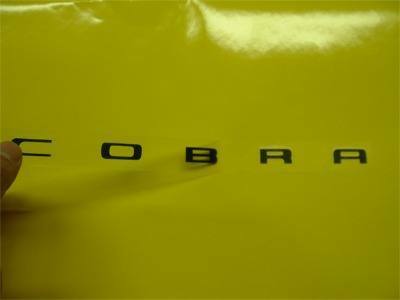 DO NOT PULL UP OR AWAY FROM THE SURFACE as this can cause the decal to release. Do this slowly to be sure that the decal sticks to the installation surface.